The National Assembly promulgates the Law on the Vietnam Fatherland Front. Inheriting the historical role of the National United Front of Vietnam founded and led by the Communist Party of Vietnam and President Ho Chi Minh, the Vietnam Fatherland Front is a political alliance and voluntary union of the political organization, socio-political organizations, social organizations and prominent individuals representing their class, social stratum, ethnicity or religion and overseas Vietnamese. The Vietnam Fatherland Front is the political base of the people’s administration; and shall represent and protect the lawful and legitimate rights and interests of the People; rally and uphold the strength of the great national unity, exercise democracy and promote social consensus; conduct social supervision and criticism; and participate in the building of the Party and the State, and in people’s diplomacy, thus contributing to national construction and defense. This Law prescribes the rights, responsibilities, organization and operation of the Vietnam Fatherland Front; the relationships between the Vietnam Fatherland Front and the State, the People and organizations; and conditions for the operation of the Vietnam Fatherland Front. 1. To rally and build the great national unity bloc, exercise democracy and promote social consensus. 2. To conduct public information for and mobilize the People to exercise their mastery and implement the line and policies of the Party and policies and laws of the State. 3. To represent and protect the lawful and legitimate rights and interests of the People. 4. To participate in the building of the Party and the State. 5. To conduct social supervision and criticism. 6. To collect and summarize opinions and petitions of voters and the People for reporting and proposing them to the Party and the State. 7. To carry out people’s diplomacy. 1. The Vietnam Fatherland Front shall be organized and operate within the framework of the Constitution, laws and its Charter. 2. The Vietnam Fatherland Front shall be organized and operate on the principles of voluntariness, democratic consultation, and coordinated and unified action among its members. 3. When participating in coordinated and unified action, member organizations of the Vietnam Fatherland Front shall comply with the Charter of the Vietnam Fatherland Front while maintaining their independence. 4. The Communist Party of Vietnam is a member and concurrently leader of the Vietnam Fatherland Front. 1. Members of the Vietnam Fatherland Front include organizations and individuals defined in Article 1 of this Law and the Charter of the Vietnam Fatherland Front. 2. The admission to, permission for withdrawal from, and rights and responsibilities of members of, the Vietnam Fatherland Front shall be set forth in the Charter of the Vietnam Fatherland Front. 1. The Vietnam Fatherland Front shall be organized at the central level and in administrative divisions. A Vietnam Fatherland Front Committee is the executive body in the interval between two congresses of the Vietnam Fatherland Front, responsible for organizing the performance of the tasks of the Vietnam Fatherland Front. b/ At local levels: Vietnam Fatherland Front Committees of provinces and centrally run cities (below collectively referred to as provincial level); Vietnam Fatherland Front Committees of rural districts, urban districts, towns, provincial cities and equivalent administrative divisions (below collectively referred to as district level); and Vietnam Fatherland Front Committees of communes, wards and townships (below collectively referred to as commune level). The Vietnam Fatherland Front Committee at each level shall have its Standing Board. The organization, tasks and powers of agencies of the Vietnam Fatherland Front shall be set forth in the Charter of the Vietnam Fatherland Front. 3. Commune-level Vietnam Fatherland Front Committees shall establish Boards for the Front’s Affairs in villages, hamlets, residential groups, residential quarters and other residential communities (below collectively referred to as residential areas). The organization and operation of Boards for the Front’s Affairs shall be set forth in the Charter of the Vietnam Fatherland Front. 1. The relationship between the Vietnam Fatherland Front and the State is a coordination relationship for performance of tasks and exercise of powers of each part in accordance with the Constitution and laws, and work coordination regulations jointly issued by the Vietnam Fatherland Front Committee and related state agencies at each level. 2. The Prime Minister, ministers, heads of ministerial-level agencies and chairpersons of People’s Committees at all levels shall promptly inform the Vietnam Fatherland Front of the implementation of regulations on reporting on important issues under their management to the People in accordance with the Constitution and laws. 3. State agencies shall consider, settle and respond to proposals of the Vietnam Fatherland Front in accordance with law. 4. The State shall create conditions for the effective operation of the Vietnam Fatherland Front. 1. The Vietnam Fatherland Front shall represent and protect the lawful and legitimate rights and interests of the People; expand and diversify forms of rallying and uniting the People; encourage and support the People to exercise democracy and human rights, exercise fundamental rights and perform fundamental obligations of citizens, and follow the line and policies of the Party and policies and laws of the State. 2. The People shall participate in the organization and operation of the Vietnam Fatherland Front through its member organizations and prominent individuals being members of Vietnam Fatherland Front Committees at all levels, and participate in activities launched and organized by the Vietnam Fatherland Front. 3. Through Vietnam Fatherland Front Committees and member organizations, the People shall give opinions on, and report and propose, issues of their concern to the Vietnam Fatherland Front for reporting and proposal to the Party and the State. 4. The People shall supervise activities of the Vietnam Fatherland Front to ensure the Vietnam Fatherland Front fully exercise its rights and discharge its responsibilities in accordance with law. 5. The Vietnam Fatherland Front shall regularly renovate contents and methods of its operation in order to discharge its responsibilities toward the People in accordance with the Constitution and laws. 1. The relationship between the Vietnam Fatherland Front and its member organizations must comply with the Charter of the Vietnam Fatherland Front. 2. The relationship between Vietnam Fatherland Front Committees and economic organizations, non-business organizations and non-member organizations of the Vietnam Fatherland Front is a voluntary relationship in accordance with law, for the purpose of socio-economic development, protection of lawful and legitimate rights and interests of the People, and national construction and defense. The Vietnam Fatherland Front shall carry out and expand people’s diplomacy activities, thus contributing to strengthening the friendship and solidarity with other countries and peoples for the sake of peace, cooperation and development. The 18th of November every year is the Traditional Day of the Vietnam Fatherland Front and also the Great National Unity Festival Day. The Vietnam Fatherland Front shall diversify forms of organization and operation to rally and unite all Vietnamese at home and abroad, regardless of their class, social stratum, ethnicity, belief, religion and past, in order to mobilize every resource for national construction and defense. 1. To conduct public information for and mobilize the People to promote the traditions of patriotism and great national unity and participate in patriotic emulation campaigns and movements. 2. To unite and cooperate with lawful organizations of the People. 3. To promote the activeness of prominent individuals representing their class, social stratum, ethnicity and religion to implement the Vietnam Fatherland Front Committees’ programs on coordinated and unified action. 4. To admit and develop members of the Vietnam Fatherland Front. 5. To conduct public information for and mobilize overseas Vietnamese to unite with and assist one another in their daily life, respect laws of host countries, preserve and promote the cultural identities and fine traditions of the nation, and maintain close ties with their families and homeland, thus contributing to national construction and defense. 6. To carry out other activities related to the rights and responsibilities of the Vietnam Fatherland Front. d/ To participate in the formulation and implementation of social security policies of the State; to propose, and participate in the implementation of, programs, movements and campaigns, contributing to taking care of material and spiritual lives of the People. d/ Vietnam Fatherland Front Committees shall apply appropriate forms to mobilize, and promote the core role of, their members being prominent individuals in activities of the Vietnam Fatherland Front. 1. The Presidium of the Central Committee of the Vietnam Fatherland Front shall assume the prime responsibility for, and coordinate with the National Assembly Standing Committee in, summarizing opinions and petitions of voters and the People nationwide for reporting at the National Assembly’s sessions. 2. The Standing Boards of provincial-level Vietnam Fatherland Front Committees shall coordinate with National Assembly deputies’ delegations in summarizing opinions and petitions of voters and the People in localities and send them to the National Assembly Standing Committee and the Presidium of the Central Committee of the Vietnam Fatherland Front. 3. The Standing Boards of Vietnam Fatherland Front Committees in localities shall coordinate with the Standing Boards of the People’s Councils and with the People’s Committees in summarizing opinions and petitions of voters and the People on local issues for reporting at sessions of same-level People’s Councils. 4. Member organizations of the Vietnam Fatherland Front shall, within the ambit of their rights and responsibilities, summarize opinions and petitions of their members and the People of all strata and send them to the Standing Boards of Vietnam Fatherland Front Committees of the same level. The Standing Board of the Vietnam Fatherland Front Committee of a level shall summarize opinions and petitions of members and the Standing Board of the Vietnam Fatherland Front Committee of the lower level for reporting to the Party’s and the State’s agencies of the same level. 1. The Standing Boards of provincial-level Vietnam Fatherland Front Committees shall coordinate with the National Assembly deputies’ delegations and the Standing Boards of the People’s Councils and the People’s Committees of the same level and related agencies and organizations in organizing the implementation of plans on meeting between voters and deputies to the National Assembly and provincial-level People’s Councils; and organizing such meetings. 2. The Standing Boards of district- and commune-level Vietnam Fatherland Front Committees shall coordinate with the Standing Boards of the People’s Councils and with the People’s Committees of the same level in organizing the implementation of plans on meeting between voters and deputies to the National Assembly and provincial-, district- and commune-level People’s Councils; and organizing such meetings. 3. The National Assembly Standing Committee and the Government shall coordinate with the Presidium of the Central Committee of the Vietnam Fatherland Front in promulgating a joint resolution detailing the organization of meetings between voters and deputies to the National Assembly and People’s Councils. 4. Participating in grassroots conciliation. 1. The Vietnam Fatherland Front shall receive citizens and participate in the settlement of complaints and denunciations and grant of special amnesty in accordance with law. 2. Vietnam Fatherland Front Committees of district and higher levels have the right to appoint people’s defense counsels to defend the accused who are their members. The Vietnam Fatherland Front shall organize in accordance with law consultations, selection and nomination of candidates for deputies to the National Assembly or People’s Councils; join organizations in charge of election; coordinate with related state agencies in organizing voters’ meetings at the commune level and meetings between voters and candidates; and participate in conducting public information for and mobilizing voters to comply with the law on election. 1. The Central Committee of the Vietnam Fatherland Front shall appoint its representatives to join the National Council for Selection and Supervision of Judges, the Council for Selection of Procurators of the Supreme People’s Procuracy, and the Council for Competitive Examination of Primary-Level Procurators, Intermediate-Level Procurators and Senior Procurators in accordance with law. 2. Provincial- and district-level Vietnam Fatherland Front Committees shall assume the prime responsibility for selecting and nominating qualified persons for People’s Councils to elect people’s assessors in accordance with law. 1. The Central Committee of the Vietnam Fatherland Front has the right to propose the formulation of laws and ordinances to the National Assembly Standing Committee or the National Assembly; and submit draft laws or ordinances to the National Assembly or the National Assembly Standing Committee. 2. The Vietnam Fatherland Front shall give in accordance with law opinions on the draft Constitution, draft laws and ordinances and other draft legal documents; and propose competent state agencies to amend, supplement or annul legal documents which contravene the Constitution and laws. 3. In the course of formulating legal documents, drafting agencies and organizations and related agencies and organizations shall create conditions for the Vietnam Fatherland Front to contribute its opinions; and shall assimilate, and give feedback on, proposals of the Vietnam Fatherland Front in accordance with law. 1. The President of the Central Committee of the Vietnam Fatherland Front shall participate in sessions of the National Assembly; and shall be invited to meetings of the National Assembly Standing Committee or meetings of the Government which discuss issues related to the rights and responsibilities of the Vietnam Fatherland Front. Presidents of Vietnam Fatherland Front Committees in localities shall participate in sessions of People’s Councils; and shall be invited to meetings of People’s Committees of the same level which discuss issues related to the rights and responsibilities of the Vietnam Fatherland Front. 2. At a session of the People’s Council, the same-level Vietnam Fatherland Front Committee shall notify the Vietnam Fatherland Front’s participation of the building of the administration, and opinions and petitions of the local People; and propose necessary issues to the People’s Council and People’s Committee. c/ Proposing competent state agencies to protect and commend persons who have helped detect and denounce acts of corruption or waste. 2. Competent agencies, organizations and persons shall consider and respond to requests and proposals of the Vietnam Fatherland Front in accordance with law. 1. The Vietnam Fatherland Front shall give opinions and proposals to competent agencies, organizations and persons on the performance of tasks and exercise of powers by these agencies, organizations and persons. 2. Competent agencies, organizations and persons shall create conditions for the Vietnam Fatherland Front to give opinions and proposals; and shall assimilate, and give feedbacks on, opinions and proposals of the Vietnam Fatherland Front in accordance with law. 1. Supervision by the Vietnam Fatherland Front means that Vietnam Fatherland Front Committees at all levels shall themselves, or request member organizations of the Vietnam Fatherland Front to, monitor, consider, assess, and make proposals on, the operation of agencies, organizations, popularly elected deputies, cadres, civil servants and public employees in the implementation of policies and laws. 2. Supervision by the Vietnam Fatherland Front is a social activity aiming to represent and protect the lawful and legitimate rights and interests of the People, promptly detect and propose the handling of wrongdoings and shortcomings; propose amendments and supplements to policies and laws; discover and popularize new factors, typical advanced models and positive aspects; and uphold the People’s mastery, thus contributing to building a clean and strong State. 3. Supervision activities shall be carried out on the principles of guaranteeing democracy and involvement of the People and members of the Vietnam Fatherland Front, stemming from the People’s requirements and aspirations; publicity, transparency and non-overlap; and causing no obstruction to the operation of the supervised agencies, organizations or individuals. 1. Subjects of supervision by the Vietnam Fatherland Front include state agencies, organizations, popularly elected deputies, cadres, civil servants and public employees. 2. Contents of supervision by the Vietnam Fatherland Front include implementation of policies and laws related to the lawful and legitimate rights and interests of the People and the rights and responsibilities of the Vietnam Fatherland Front. 3. 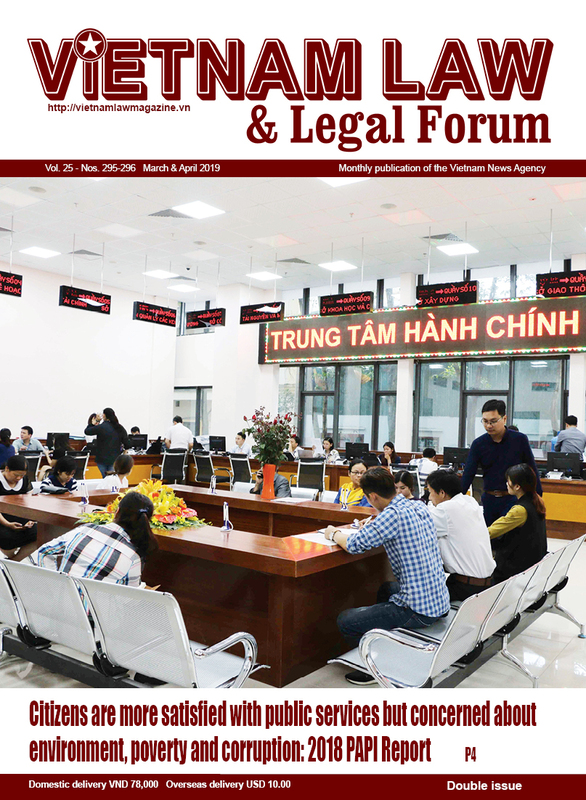 Vietnam Fatherland Front Committees shall assume the prime responsibility for supervising the subjects and contents prescribed in Clauses 1 and 2 of this Article. At the request of Vietnam Fatherland Front Committees or in pursuance to law, socio-political organizations shall assume the prime responsibility for supervising the subjects and contents prescribed in Clauses 1 and 2 of this Article that are directly related to the lawful and legitimate rights and interests of their members and the rights and responsibilities of their organizations. 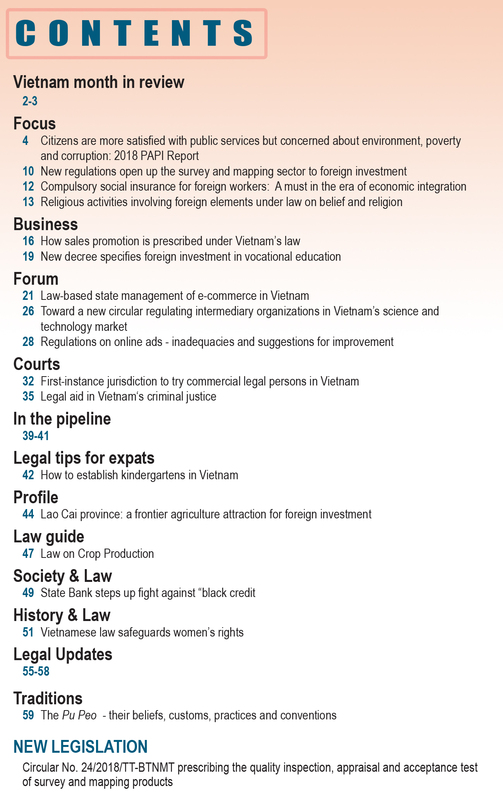 Other member organizations of the Vietnam Fatherland Front shall coordinate with Vietnam Fatherland Front Committees of the same level in supervising the subjects and contents prescribed in Clauses 1 and 2 of this Article that are directly related to the lawful and legitimate rights and interests of their members and the rights and responsibilities of their organizations. 1. Studying and considering competent agencies’ documents related to the lawful and legitimate rights and interests of the People. 3. Conducting supervision activities through commune-level People’s Inspection Boards and Community Investment Supervision Boards. 4. Joining in supervision activities of competent agencies and organizations. 5. The National Assembly Standing Committee and the Government shall coordinate with the Presidium of the Central Committee of the Vietnam Fatherland Front in promulgating a joint resolution detailing this Article. 1. To coordinate with related agencies and organizations in developing supervision programs, contents and plans; to decide to form supervision teams and organize supervision activities according to plan or when necessary. 2. To request supervised agencies, organizations and individuals to make written reports and provide information and documents related to supervision contents. 3. To scrutinize in an objective and scientific manner issues related to supervision contents. 4. To hold dialogues to clarify contents of proposals made after the supervision when necessary or at the request of supervised agencies, organizations or individuals. 5. To propose competent agencies, organizations or persons to consider applying measures to protect the interests of the State and lawful and legitimate rights and interests of organizations and individuals; to propose examination of responsibilities of violating agencies, organizations and individuals in accordance with law. 6. To issue by itself or in coordination with related agencies or organizations documents on supervision results; to take responsibility for the proposals made after the supervision. 7. To monitor and urge the settlement of proposals made after the supervision; to request competent agencies, organizations or individuals to examine responsibilities of agencies, organizations and individuals that fail to settle the proposals or settle the proposals at variance with law. 8. To commend, or propose competent agencies or organizations to praise and commend, persons who record achievements in supervision activities. 1. To be notified in advance of supervision contents and plans. 2. To make written reports according to supervision contents; to provide information and documents related to supervision contents; to make additional reports and clarify relevant issues. 3. To present opinions on relevant contents related to their tasks and powers. 4. To propose re-consideration of proposals made after the supervision and organization of dialogues to clarify the proposals when necessary. 5. To create conditions for the Vietnam Fatherland Front to conduct supervision. 6. To consider, settle, and respond to proposals made after the supervision by the Vietnam Fatherland Front. 7. To comply with conclusions and settlement decisions issued by competent agencies or organizations which are related to contents of proposals made after the supervision by the Vietnam Fatherland Front. 1. Every 6 months, the National Assembly, the Government, People’s Councils and People’s Committees shall hear reports on supervision results of the same-level Vietnam Fatherland Front Committees; and request related agencies, organizations and individuals to consider proposals and urge the settlement of proposals made after the supervision by the Vietnam Fatherland Front. 2. Agencies, organizations and individuals shall, within the ambit of their tasks and powers, create conditions and provide necessary information and documents for supervision activities upon request; appoint persons to participate in supervising related contents; create conditions for the Vietnam Fatherland Front to conduct supervision; and consider and settle proposals made after the supervision by the Vietnam Fatherland Front in accordance with law. 1. The Presidium of the Central Committee of the Vietnam Fatherland Front and provincial-level Vietnam Fatherland Front Committees are entitled to propose removal from office of National Assembly deputies who no longer deserve the People’s trust; and local Vietnam Fatherland Front Committees are entitled to propose in accordance with law removal from office of People’s Council deputies who no longer deserve the People’s trust. 2. The Vietnam Fatherland Front Committee in a locality may propose the Standing Board of the People’s Council of a level to submit to this People’s Council the casting of votes of confidence on persons holding positions elected by the People’s Council in accordance with law. 3. Vietnam Fatherland Front Committees at all levels shall fully collect and summarize opinions and petitions of voters and the People which are related to persons subject to vote of confidence, and send them to the National Assembly or People’s Councils before its or their sessions. 1. Social criticism by the Vietnam Fatherland Front means that Vietnam Fatherland Front Committees at all levels shall themselves give or request member organizations of the Vietnam Fatherland Front to give remarks, assessments, official opinions or proposals on draft legal documents, master plans, plans, programs, projects or schemes (below collectively referred to as draft documents) of state agencies. 2. Social criticism by the Vietnam Fatherland Front is a social, objective, scientific and constructive activity, contributing to ensuring the judiciousness, suitability to practical social life, and efficiency of documents; guaranteeing the lawful and legitimate rights and interests of the People; and promoting democracy and social consensus. 3. Social criticism shall be conducted on the principles of democracy, publicity, transparency, and involvement of members of the Vietnam Fatherland Front and the People; and respect for divergent opinions which must not run against the lawful and legitimate rights and interests of the People or national interests. 1. Objects of social criticism by the Vietnam Fatherland Front include draft documents of state agencies of the same level which are directly related to the lawful and legitimate rights and interests of the People and the rights and responsibilities of the Vietnam Fatherland Front. 2. Contents of social criticism by the Vietnam Fatherland Front include the necessity; the compliance with policies and line of the Party and policies and laws of the State; the judiciousness, scientificity and feasibility; the assessment of political, economic, cultural, social, national defense, security and foreign-relation impacts and benefits, of draft documents; and harmony of the interests of the State, the People and organizations. 3. 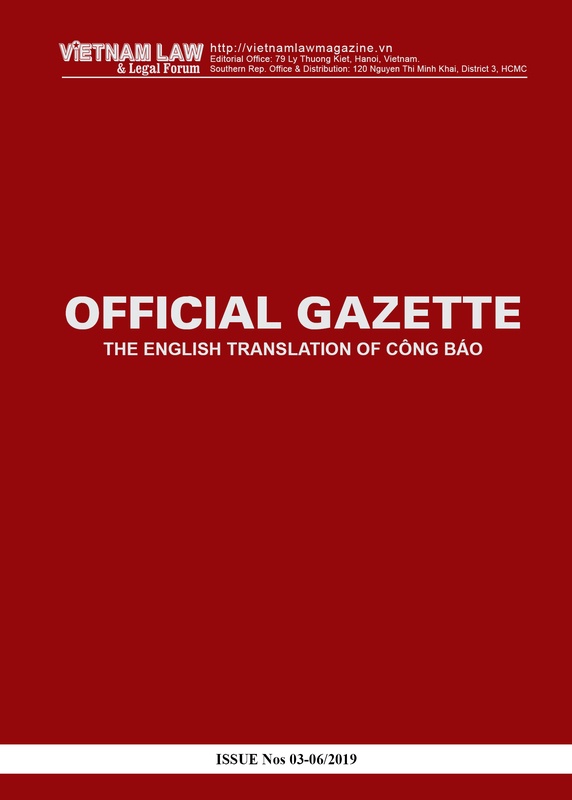 Vietnam Fatherland Front Committees shall assume the prime responsibility for providing social criticism about the objects and contents prescribed in Clauses 1 and 2 of this Article. At the request of Vietnam Fatherland Front Committees or in pursuance to law, socio-political organizations shall assume the prime responsibility for providing social criticism about the objects and contents prescribed in Clauses 1 and 2 of this Article which are directly related to the lawful and legitimate rights and interests of their members and the rights and responsibilities of the organizations. Other member organizations shall coordinate with Vietnam Fatherland Front Committees in providing social criticism about the objects and contents prescribed in Clauses 1 and 2 of this Article which are directly related to the lawful and legitimate rights and interests of their members and the rights and responsibilities of the organizations. 1. Organizing social criticism conferences. 2. Sending draft documents to related agencies, organizations and individuals for social criticism. 3. Holding direct dialogues between the Vietnam Fatherland Front and agencies or organizations having draft documents put up for social criticism. 4. The National Assembly Standing Committee and the Government shall coordinate with the Presidium of the Central Committee of the Vietnam Fatherland Front in promulgating a joint resolution detailing this Article. 1. To develop social criticism contents and plans. 2. To request drafting agencies or organizations to provide draft documents and necessary information and documents. 3. To apply various forms of social criticism. 4. To send written criticisms to agencies or organizations having draft documents put up for criticism. 5. To request drafting agencies to give written replies on proposals of the Vietnam Fatherland Front. 1. To send draft documents put up for social criticism to the Vietnam Fatherland Front at least 15 days before submitting them to agencies competent to promulgate documents; and to provide necessary information and documents. 2. To assign responsible persons to participate in social criticism conferences or dialogues at the request of the Vietnam Fatherland Front. 3. To given written replies on proposals of the Vietnam Fatherland Front, or give explanations in case of rejection; to report social criticisms of the Vietnam Fatherland Front to agencies or organizations competent to promulgate documents. 1. A Vietnam Fatherland Front Committee has an assisting apparatus. The organization and payrolls of assisting apparatuses of Vietnam Fatherland Front Committees at all levels shall be prescribed by a competent agency. 2. Cadres, civil servants and public employees of a Vietnam Fatherland Front Committee and persons performing the Front’s affairs on a part-time basis shall be trained in the handling of the Front’s affairs to meet the requirements of their assigned tasks. 3. Related state agencies shall create conditions for the Vietnam Fatherland Front to implement training plans, programs and contents and develop the contingent of specialists, consultants and collaborators. 1. Operating funds for Vietnam Fatherland Front Committees at all levels shall be ensured by the state budget in accordance with law. 2. The estimation, allocation, implementation and finalization of state budget funds for the operation of the Vietnam Fatherland Front must comply with the Law on the State Budget. 3. The Vietnam Fatherland Front is entitled to manage and use assets assigned by the State and assets and funds presented or donated by organizations and individuals at home and abroad in accordance with law. 1. To create conditions for cadres, civil servants, public employees and workers to perform their tasks when they are appointed to Vietnam Fatherland Front Committees or assigned to participate in activities of the Vietnam Fatherland Front. 2. To coordinate with the Vietnam Fatherland Front in responding to patriotic emulation campaigns and movements launched by the Vietnam Fatherland Front or in implementing programs and projects assigned to the Vietnam Fatherland Front; to provide information and documents at the request of the Vietnam Fatherland Front. 3. To conduct public information for and mobilize cadres, civil servants, public employees and workers to implement the great national unity policy; to respond to patriotic emulation campaigns and movements launched or organized by the Vietnam Fatherland Front. 2. Law No. 14/1999/Q10 on the Vietnam Fatherland Front ceases to be effective on the effective date of this Law. The National Assembly Standing Committee and the Government shall coordinate with the Presidium of the Central Committee of the Vietnam Fatherland Front in detailing the articles and clauses in the Law as assigned. This Law was passed on June 9, 2015, by the XIIIth National Assembly of the Socialist Republic of Vietnam at its 9th session.